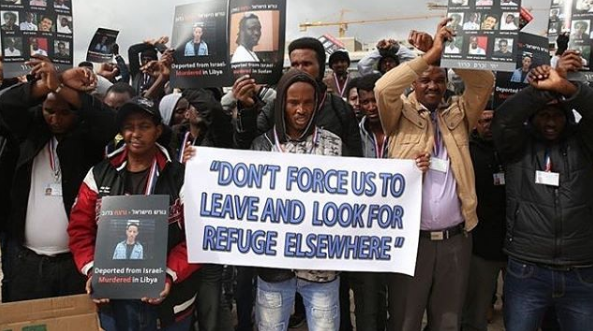 The Israeli government has issued a notice for thousands of African migrants to leave the country or face imprisonment, BBC reports. The migrants will be given up to $3,500 for leaving within the next 90 days. They will be given the option of going to their home country or third countries. If they do not leave, the Israeli authorities have threatened that they will start jailing them from April. The UN refugee agency said the controversial plan violated international and Israeli laws. The Israeli government says their return will be humane and “voluntary”. The order exempts children, elderly people, and victims of slavery and human trafficking. A spokesperson for Israel’s Population and Immigration Authority told the BBC there were currently 38,000 “infiltrators” in Israel, of whom just 1,420 were being held in detention facilities. 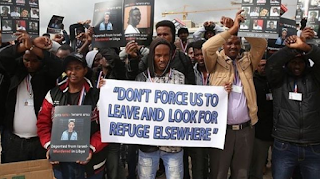 Many of the migrants – who are mostly from Eritrea and Sudan – say they came to Israel to seek asylum after fleeing persecution and conflict, but the authorities regard them as economic migrants. Israeli Prime Minister Benjamin Netanyahu has claimed that an unchecked influx of African migrants could threaten Israel’s Jewish character.